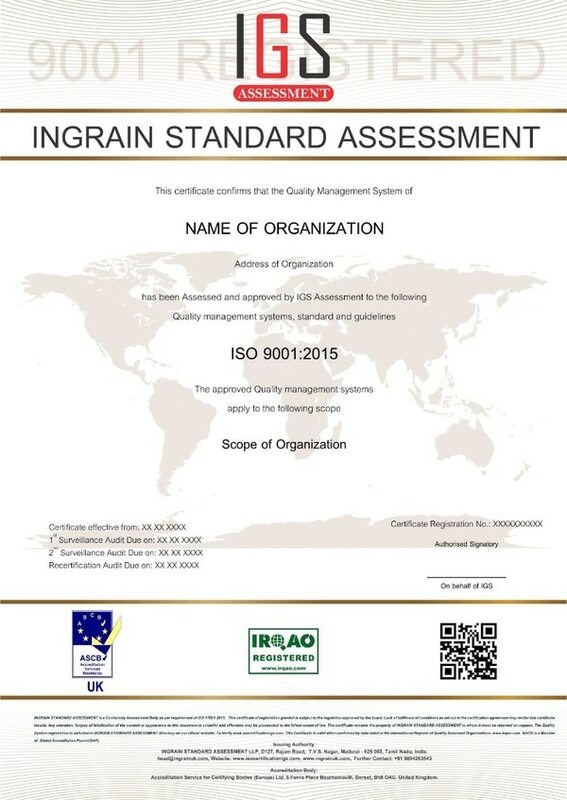 INGRAIN STANDARD ASSESSMENT LLP IGS Assessment is one of the leading International certification body operating in South India, from the city of Madurai with rich Cultural influence and heritage. IGS had worked with major Metal and rubber industries and valuable clients around south India. IGS Assessment is established as an independent certification with its main objective to safeguard life, property and environment through quality assurance and total quality management .IGS Assessment has been providing their value added certification services to the Government, Public and Private Sector Organizations involved in various areas/activities. It is a professional organization backed by devoted, highly qualified and experienced personnel. 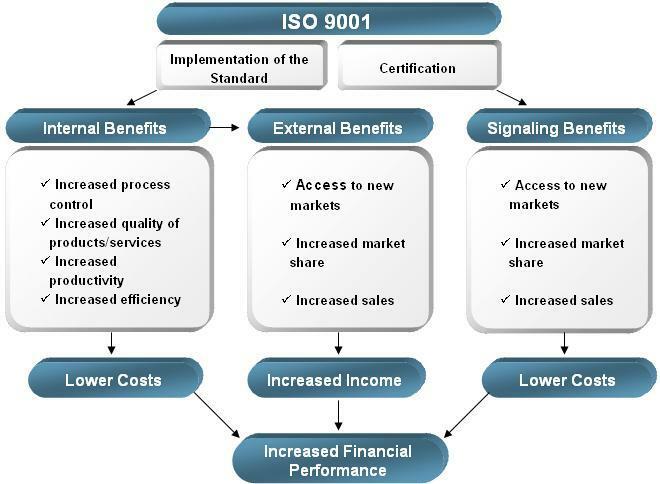 We provide a wide spectrum of customer oriented certification services in an efficient and cost effective manner. 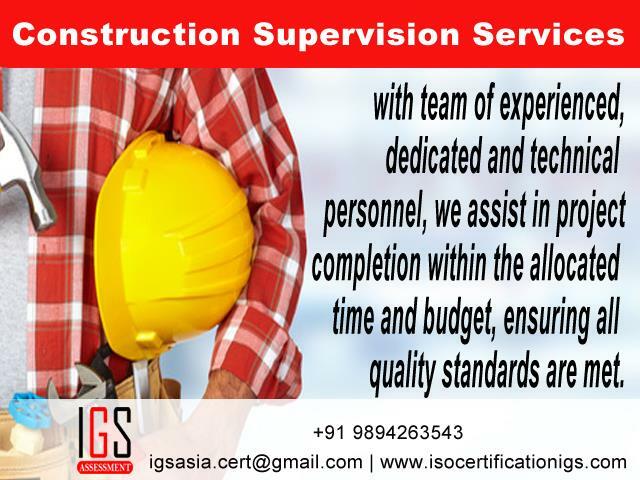 IGS Assessment shall create an environment where each employee contributes to all aspects of our business process and shall strive for continuous improvement to meet with customer Satisfaction by having a strong feedback system from clients, auditors and certification staff. 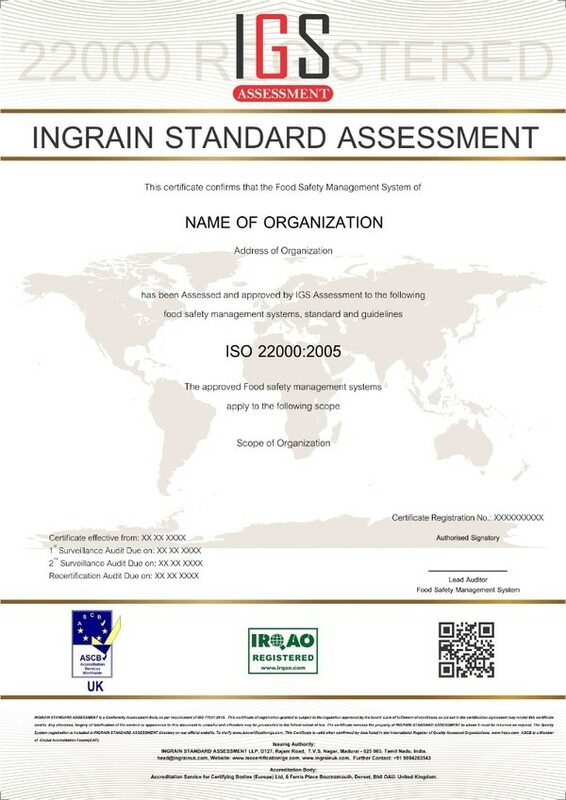 IGS Assessment ensures that its services are available to all its clients and these services are not based on undue financial or any other consideration. 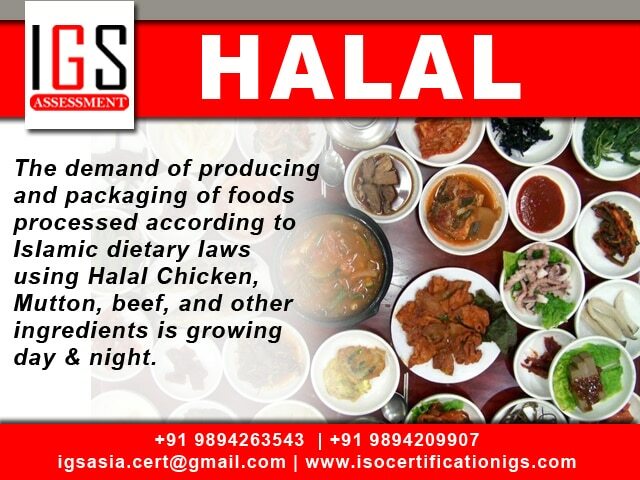 IGS Assessment ensures that all its procedures /guidelines operate in a non discriminatory manner etc. IGS Assessment is one of the leading International certification body operating in South India, from the city of Madurai with rich Cultural influence and heritage. 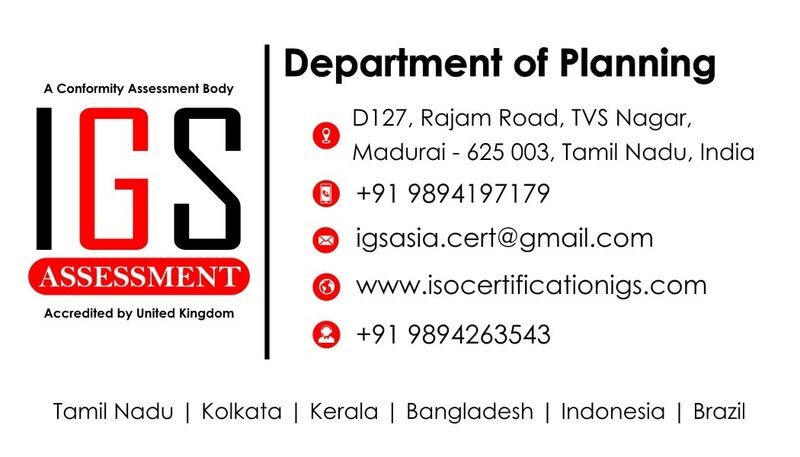 IGS had worked with major Metal and rubber industries and valuable clients around south India. IGS Assessment is established as an independent certification with its main objective to safeguard life, property and environment through quality assurance and total quality management .IGS Assessment has been providing their value added certification services to the Government, Public and Private Sector Organizations involved in various areas/activities. 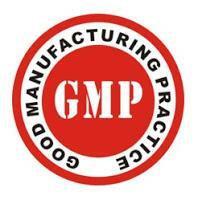 It is a professional organization backed by devoted, highly qualified and experienced personnel. 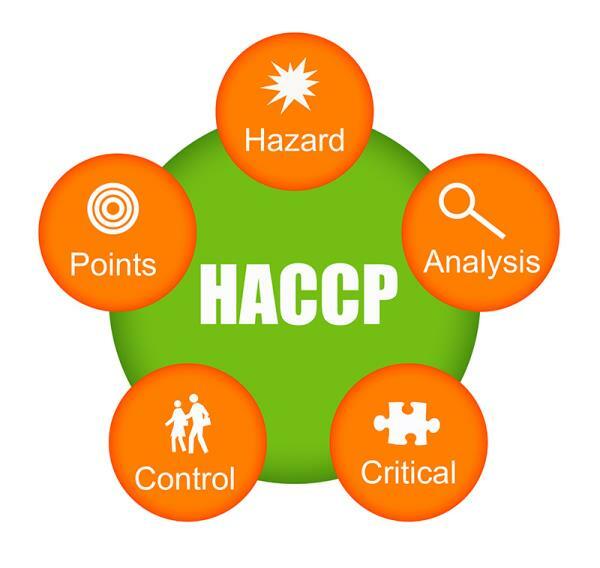 We provide a wide spectrum of customer oriented certification services in an efficient and cost effective manner. 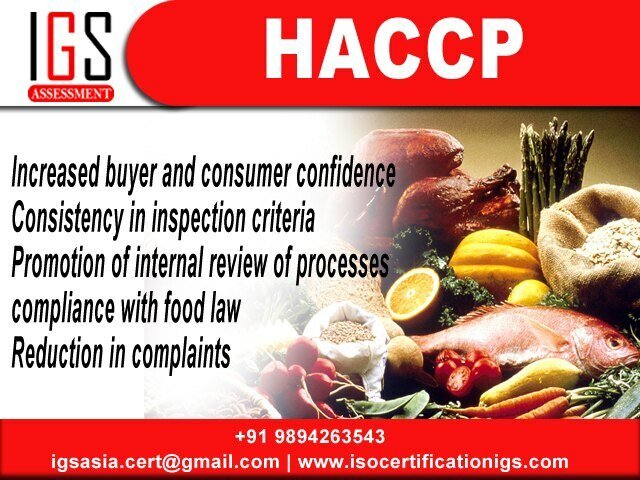 IGS Assessment shall create an environment where each employee contributes to all aspects of our business process and shall strive for continuous improvement to meet with customer Satisfaction by having a strong feedback system from clients, auditors and certification staff. 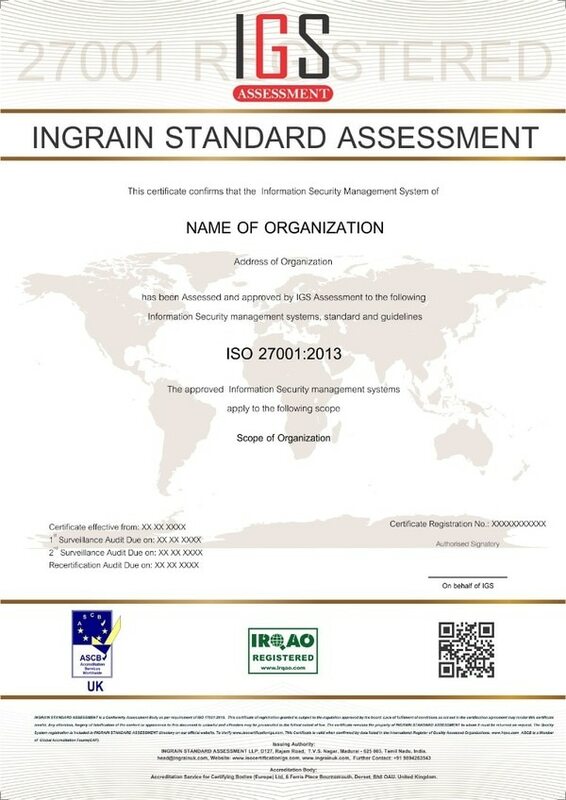 IGS Assessment ensures that its services are available to all its clients and these services are not based on undue financial or any other consideration. 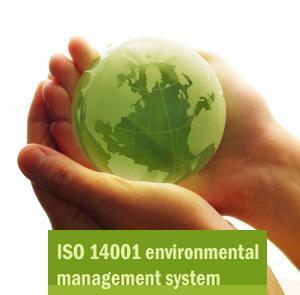 IGS Assessment ensures that all its procedures /guidelines operate in a non discriminatory manner etc.